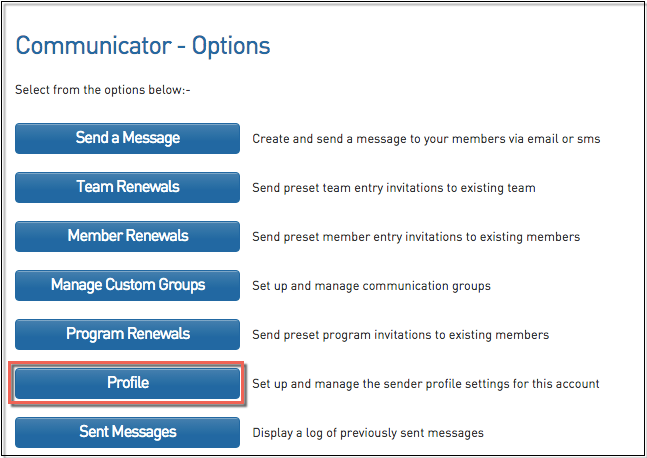 Before you can send SMS messages through Communicator you must firstly create an SMS Sender Account. 3. Click on Create SMS Sender Account. 4. The SMS Sender Account registration form will open. Complete the fields (fields marked with an asterisk are compulsory). Note: If a field is not completed, or if a username, password or organisation name is already being used by another account, you will be prompted to correct or change these details. 6. Your account will now be active and your Account summary screen will appear. At the top is a message alerting you to the fact that 'You are blocked from sending messages until you purchase more credits'. At the bottom under 'Account Details' your current balance will read '0.0'. 7. To buy credits click on Purchase Credits in the top menu. 8. The Intelli Messaging login screen will appear. Enter your SMS Sender Account username and password. 10. You are now logged into Intelli Messaging and will be returned to the Account Summary screen. Click on Purchase Credits again. 12. 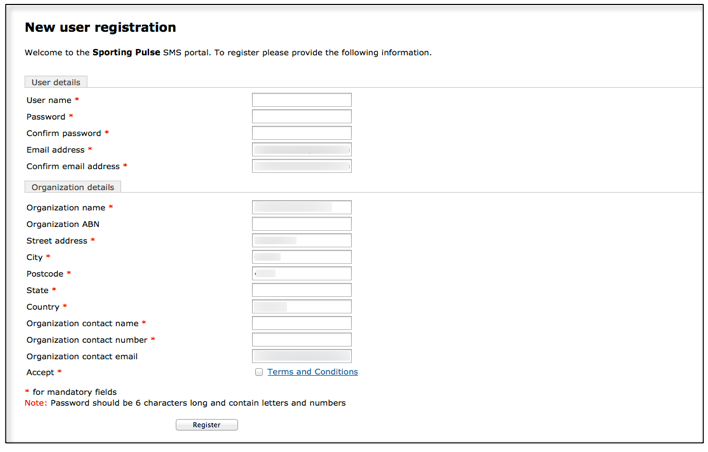 Under 'Billing Information', enter your credit card details. 13. Click on Process Order. Note: It may take up to 30 seconds to process the purchase. During this time to not close the screen or re-click on 'Process Order'. 14. After purchasing credits, the number of credits available in your account can be viewed on the Account Summary screen next to 'Current Balance'. You are now ready to send SMS messages to your members through Membership or from your mobile phone.